MOVE-IN READY! 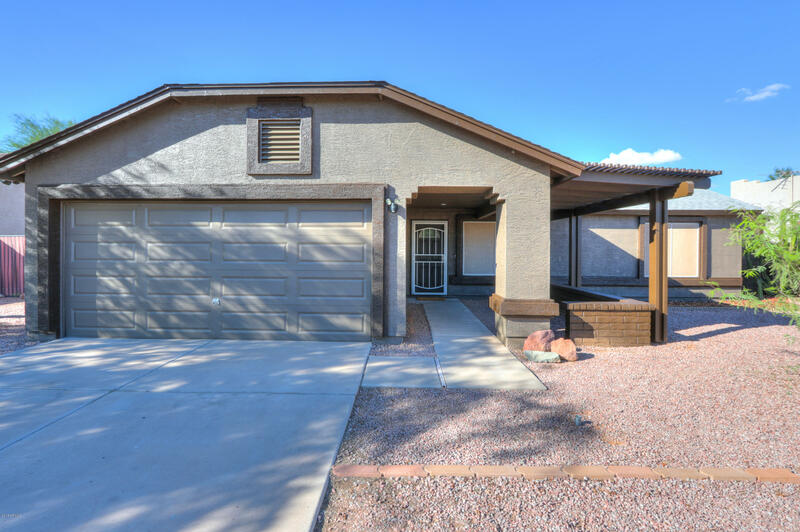 This 3 bed 2 bath NO HOA home is LIKE NEW w/tons of UPDATES including new A/C, new paint inside & out, new carpet, ceiling fans, upgraded doors & hardware, new faucets, shade screens on all windows, master bath w/walk-in shower. Kitchen includes all new cabinets, countertops, sink, faucet, recessed lighting, stainless appliances (gas stove, built-in microwave & dishwasher). A large custom covered patio area in the front keeps you shaded & dry. And french doors lead you out back to the covered patio & an low maintenance yard. There's a dog run & attached storage shed on the east. On the west, you'll find extra parking, a double gate to the other storage shed & attached covered area to park your toys. There's an office/workshop in the garage too. Schedule your showing today!